I live with my both parents in a small room here in Seritanyi area. There are three children in my family. I am the first-born yet I haven’t gone to school due my parents earning very little income. They just can’t afford things like school fees and uniforms and books that I need in school. Even though my parents look for jobs daily within the Village to try to feed us. Most jobs and seasonal are hard to come by. This has made life at home to be very desperate. All of us (kids) share one single blanket to sleep on. We have no mattress. While my parents are out trying to find a way to put food on our table, I take care of my younger brother and sister. If someone would help me to go to school I would be so glad! I want to be a teacher. I also like singing and cooking. 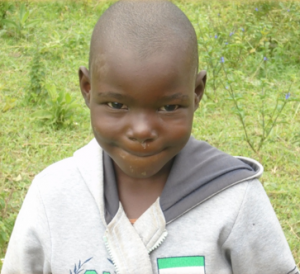 When you sponsor a child like Cicilia Wanjala, you not only help this individual child. But helping Cicilia also helps his community. We are building a self-sufficient, eco-friendly Children’s Village. Part of your donation will go towards building schools and houses so that Cicilia can have a brighter future. Here is how you can sponsor Akinyi.